If you are in Blogging Field, then you might know about WordPress & Drupal. WordPress & Drupal is a Free & Open-Source Content Management System based on PHP & MySQL. Today, in this Article, I’ll be Sharing the 5 Reasons why WordPress CMS is Better than Drupal CMS (WordPress Vs Drupal). Selecting a content management system (CMS) platform to join the popular bandwagon of blogging would not be a very difficult task because there is one popular platform which holds about 30% of all the users in its grasp. WordPress CMS proudly holds onto that accolade and is the most used CMS of all. It has held this spot since it broke into the cms marketplace for many reasons and all of them have endeared CMS users to prefer WordPress over the others of which there are many. Bloggers are looking for easy ways to get their blogs onto the CMS platform that they would use and it is this criteria that would let one tale precedence over the other. 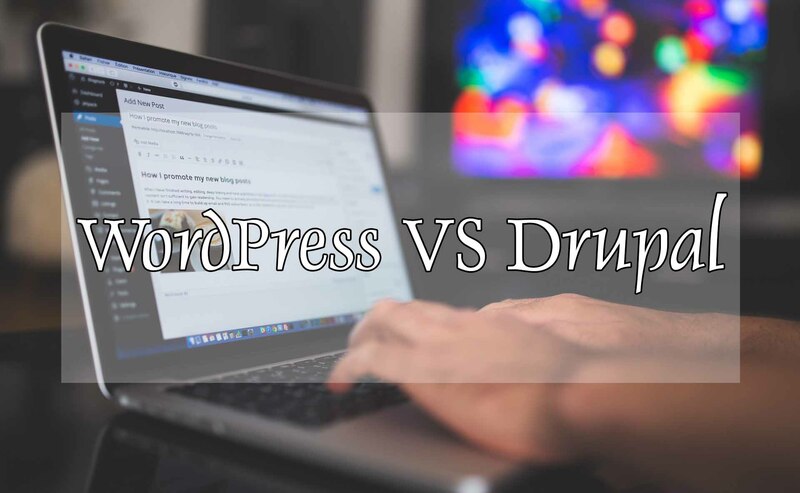 If one was to compare between WordPress CMS and Drupal CMS it would not be a very difficult task if you are a beginner or a newcomer to blogging. You would invariably select the CMS platform that would be easy to use and operate and also if it would cost you the minimum. There could be a cost advantage too if a blogger would use WordPress CMS over Drupal CMS and that is a factor that many would consider. Though Drupal CMS has some more advanced features it is WordPress CMS that leads the way and would do so into the future too as it is always looking at ways to improve and make it more user friendly. Comparing it with the other more professional platform, Drupal CMS which does not come close to the former as far as user-friendliness is concerned because that would be the major criteria that is determining who would lead the way. There are many advantages that WordPress CMS has above Drupal CMS which has been the reason for the popularity of the former above the latter. This is clearly seen in the user preference shown by a good proportion of CMS users. Most CMS users prefer WordPress and why that is so could be seen from the following where we have listed just five of the best reasons that have propelled WordPress vs Drupal. Compared to Drupal CMS, the installation of WordPress CMS is easy and very convenient. One may not need much technical knowledge but could do it on their own. It would be totally different in Drupal CMS which could be complicated and would need more technical knowledge and could be complicated for those without some technical knowledge as to how they could get about the process. Installation is very well simplified and that has endeared WordPress CMS towards users of all ages, and technical knowhow which is what has made it so popular. This is true for anything that we would like to use. The simpler it is the better usage it would have and that is why WordPress has a 30% market share. The WordPress CMS has very basic features which could be easily mastered by anyone as it does not need much knowledge of the technical issues related to CMS usage, the same cannot be said about Drupal CMS which has many third party modules which you may have to use to create the right platform that you would be comfortable with. It is this complicated process that makes Drupal CMS less popular among CMS users over and above that of WordPress CMS. Systems need to be streamlined and made simple and that is what would bring more users to any product or system but what Drupal CMS offers is a more advanced platform but many who do not have the technical knowhow would prefer to get a WordPress cmd platform compared to the former. WordPress CMS is very easy to use and is very user friendly without any complicated operations to tide over when you need to post pictures, themes or pages but that could not be said about Drupal CMS which is quite complicated to operate and would need some technical knowledge right through it complete operational process. It is this that has kept it away from being popular in the public domain. Today the world is trying to simplify as much as possible and if any platform could offer that then there would be an interest and not otherwise. Themes, postings and pages plugins could be easily operated on the WordPress CMS which is quite a task if one were to do it on the Drupal CMS platform. The professionals could do it with ease and also use it for more additional aspects when they are on the Drupal CMS platform but for amateurs and new comers it is the WordPress CMS that is readily preferred. This is seen with the immense popularity that the latter has gained over the other. 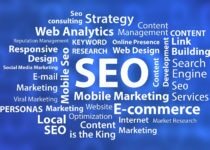 As far as seo advantages are concerned Drupal CMS has some technical advantages but usage is quite complicated which has shelved it to the backburner and propelled WordPress into the limelight as far as users are concerned. It is user friendliness that many look at as they want a quick fix rather than a drawn out process. This is what keeps Drupal CMS down. WordPress CMS has been quite popular and with a 30% market share among all CMS platforms makes it stand out from the others. Though it may not basically cater to the professionals we should understand that there are more laymen than professionals in this world. The advantages are stacked towards WordPress CMS when compared with Drupal CMS. Though the latter might have additional features it is the ease of use or what we refer to as user friendly which takes the cake for the former, WordPress is so very user friendly that it has a larger market share than Drupal CMS or any other CMS from the long list that are available for anyone to use.